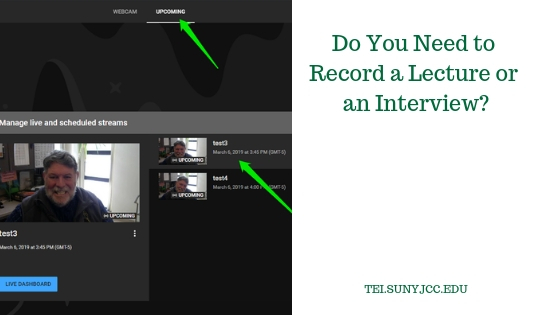 Do You Need to Record a Lecture or an Interview? TEI has had an uptick in requests to record lectures, events, and interviews. Unfortunately, we cannot be everywhere. But the good news is that this is something that you can easily do. All you need is a webcam and a YouTube account. With these two tools, you can capture an event using YouTube Live. You will then have the capability to share your recording with one to two people to as many as a million or more. Let me show you how to do it. 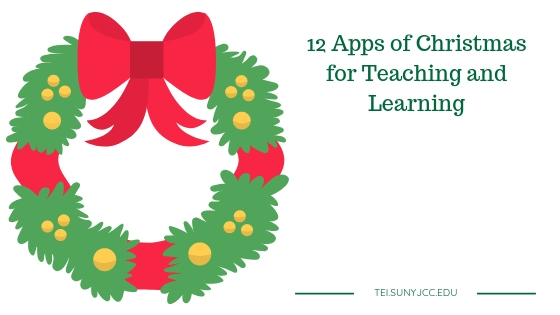 It’s time to start rounding up some new apps for the 2018 edition of the 12 Apps of Christmas. I really enjoyed this standing room only presentation from our friends at Corning Community College. Ryan Hersha, OER Coordinator at Corning Community College, highlighted the work students had completed in support of OER. This is one area that I am currently exploring for some of the courses I teach. 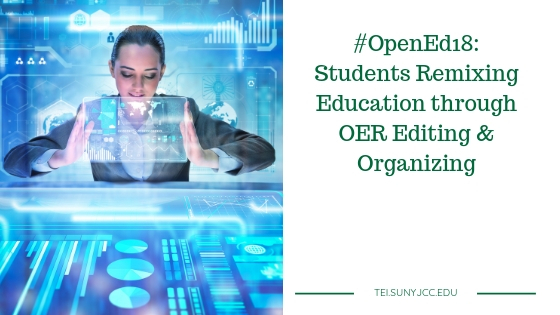 Joy Yaeger, Instructional Designer and Faculty Developer for Regent University shared how one course was employing student-developed OER to foster engagement.